Following the events of Final Fantasy XIII-2, Gran Pulse and the realm of Valhalla have merged due to the chaos released after Etro's death. The result is Novus Partus, a chain of islands floating in the Sea of Chaos, with "Bhunivelze", the new Cocoon, hovering in the sky. However, due to the world being infected by chaos, everybody has stopped aging, with the citizens of the metropolis Luxerion forming closed religious community where those who disbelieve are cast out. Hundreds of years after the events of Valhalla, Lightning awakens from her crystal sleep to save the world, as in thirteen days, it will be destroyed for good. Check out our exclusive guide featuring a full walkthrough, side quests, secrets, trophies/achievements and more. 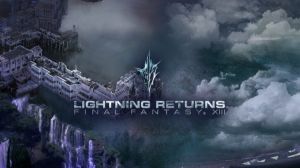 No discussions open for Lightning Returns: Final Fantasy XIII at the moment.